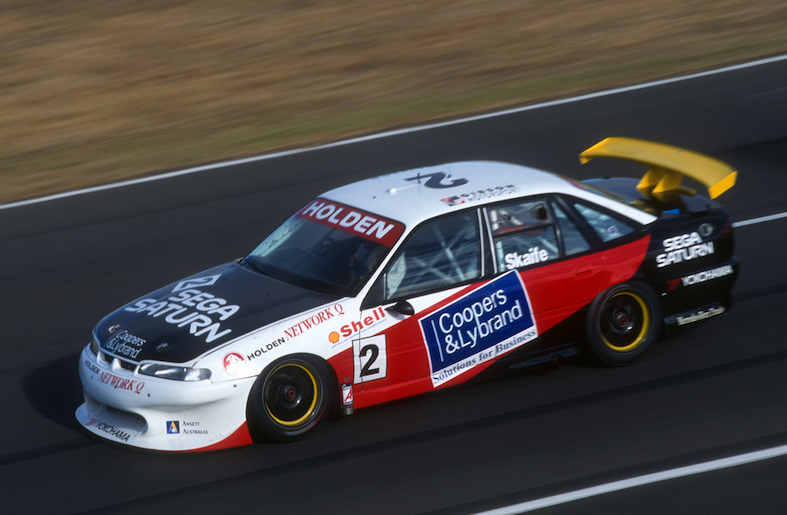 This week on Saturday Sleuthing we’re getting ready for next weekend’s Red Rooster Sydney SuperSprint at Sydney Motorsport Park so we figured we should cover the history of a car that has a connection to the venue formerly known as Eastern Creek. The start of the 1995 season had been terrible for Mark Skaife, an accident during wet practice at the venue in the start-of-season Triple Challenge race meeting landing him in hospital with injuries severe enough to force him to miss the opening round of the championship at Sandown. The reigning champion did return in time for round two at Symmons Plains but it was later in the year, in late May to be exact, before he found his way back to the top of the podium when he guided his #1 Gibson Motorsport-run Commodore to the overall round win at Eastern Creek. He finished third behind Glenn Seton and Peter Brock in Race 1 and took advantage of Seton breaking a gear lever while leading Race 2 with just laps remaining to sweep through and claim the race and overall round win. 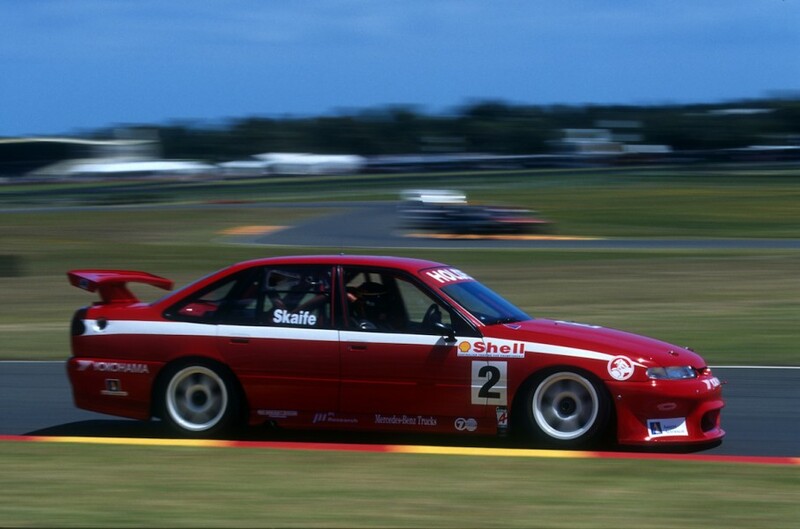 But just what happened to that car in which Skaife exorcised his Eastern Creek demons? That very car had in fact started its life as a brand new VR Commodore at the start of the ‘95 season. With Skaife on the sidelines, teammate Jim Richards debuted it in the opening Australian Touring Car Championship round at Sandown before it reverted to the future Hall of Famer. He ran it throughout the remainder of the championship and it became the team’s #1 lead car for Bathurst in October. Richards and Skaife had been in control of the race and, famously, achieved phenomenal fuel mileage in the opening stint, until the tailshaft broke while they were in the lead and they were forced to retire. Fred Gibson’s team retained the car in 1996, the first year since the disappearance of tobacco advertising. 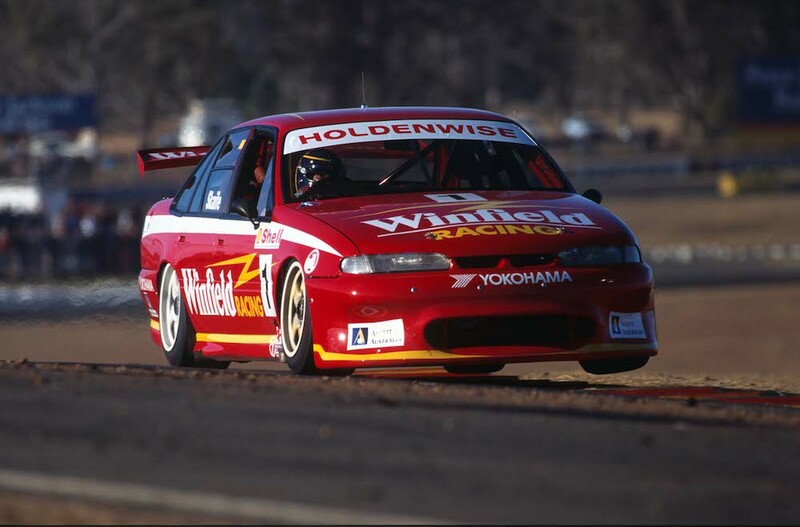 It remained in its base red colours as the team’s spare and test car, appearing in Skaife’s hands at the Sandown ATCC round after his brand new car was damaged in a crash at … Eastern Creek - that place again! 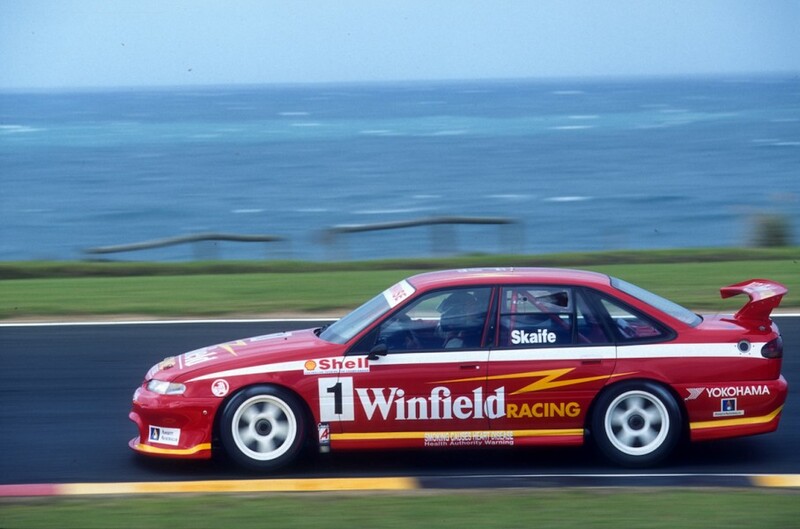 Skaife also used this car - GMS 004 - for the non-championship Albert Park and Gold Coast events and at the Sandown 500 alongside Mark Noske and Garry Waldon. The duo then ran it at Bathurst as the team’s second, #6 entry. Times got tougher financially for GMS into 1997 and the squad only ran a partial schedule of events with Skaife at the helm of his ’95 Eastern Creek-winning Commodore before he departed for the Holden Racing Team and GMS ran this car for Wynn’s and drivers Darren Hossack and Steve Ellery late in the season. 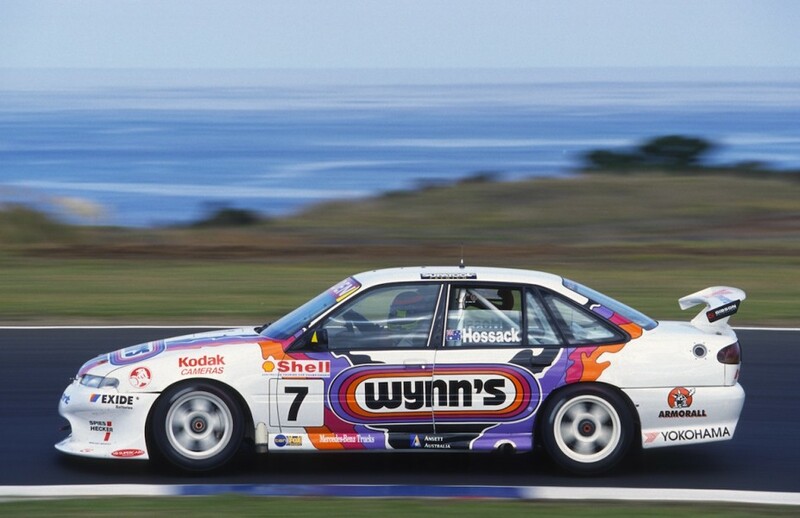 Hossack continued behind the wheel of the car into the 1998 season running as the #7 Wynn’s entry, which became #32 driven by Tomas Mezera for a handful of rounds as the 1988 Bathurst winner joined to assist the team with its development. Hossack and Darren Pate shared this car in the Sandown and Bathurst endurances races and, despite a qualifying accident at Mount Panorama that forced the team into a major rebuild, the duo performed well and finished sixth. That year’s FAI 1000 Classic at Bathurst was indeed the last time this particular Commodore raced in Australia given it was sold to Englishman Ric Wood and returned to his homeland to be fitted with a 6.7-litre Chev engine and raced in Formula Saloons - a category kind of similar to Sports Sedans here in Australia. 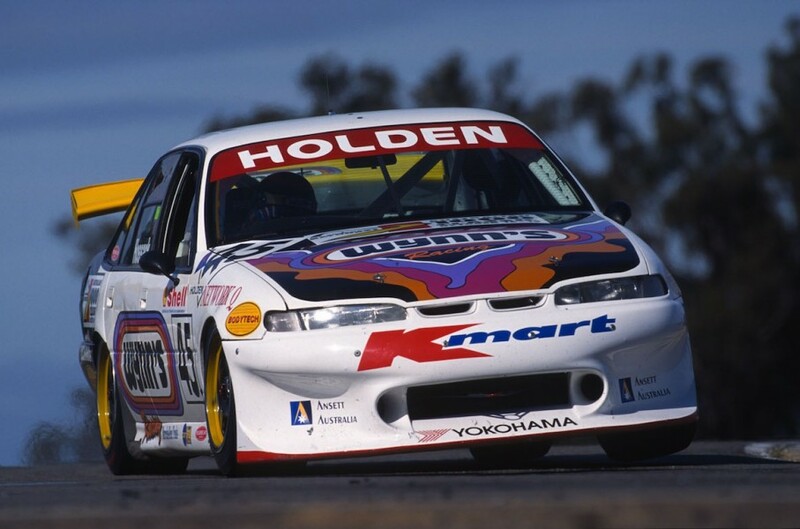 Initially the car ran in Wynn’s/Kmart livery before it was repainted purple with a spider web livery applied, though sadly there’s no happy ending with this interesting piece of V8 Supercar history. Our sources in the UK have told us that the chassis had been apparently stripped of its engine, gearbox and running gear so the car could be taken off to be painted - and then been pinched somewhere along the way! We haven’t been able to 100 percent confirm if this is exactly how it all unfolded, but whatever the case this car has sadly completely disappeared. We’ve heard of an Aussie enthusiast who has plans, or may already be underway, with the build of a replica of this car using a similar Commodore body shell and the running gear that had been taken from GMS 004 before it met its demise. We look forward to providing some updates in future stories in the weeks ahead on Saturday Sleuthing. Saturday Sleuthing will take a break next weekend for the Red Rooster Sydney SuperSprint but will return to the Supercars website on August 26.